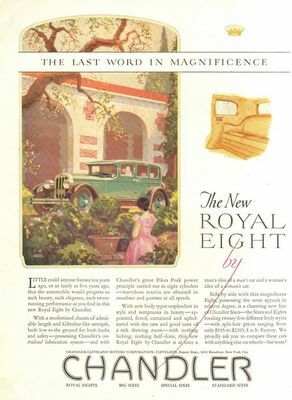 Classic Ads - Old Car Ads Chandler - classic Chandler car ads. The Chandler Motor Company was incorporated in 1913, Frederick C. Chandler, President, headquartered and with its factory in Cleveland, Ohio. Chandler was a former designer for the Lozier Motor Company, a top end luxury automobile manufacturer. 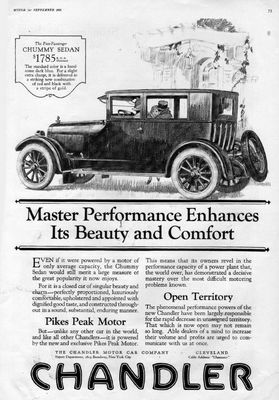 Chandler and several other Lozier executives left the company to form the Chandler Motor Company. 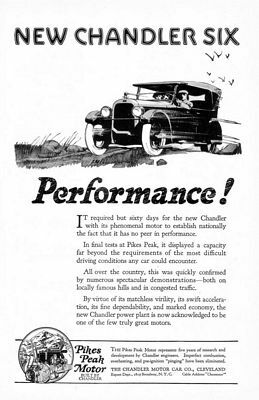 Chandler concentrated on producing a good quality motor-car within the price range of middle class Americans. Chandlers were well received in the marketplace. 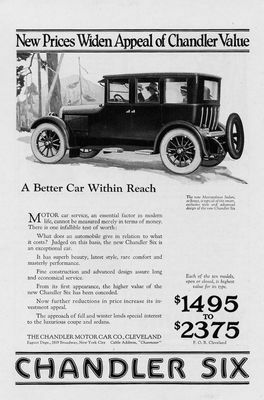 In 1920 Chandler had a line of 6 cars, ranging from $2095 to $3595 in cost. 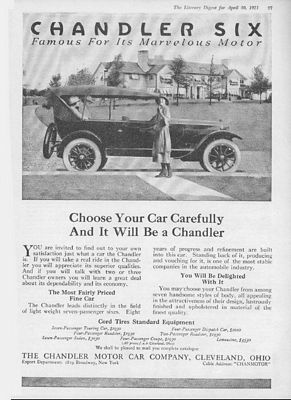 In 1922 Chandler had 10 different cars, ranging from $1495 to $2375. Like many other medium-price carmakers, in the middle-1920s Chandler introduced a lower-priced "companion car" called the Cleveland. 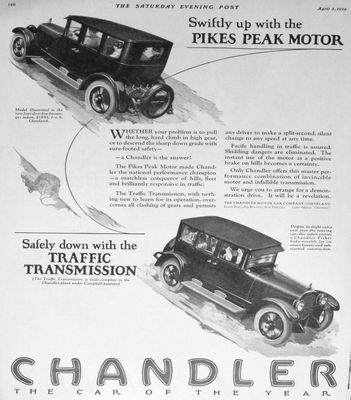 Chandler's peak year was 1927, when they sold 20,000 cars. 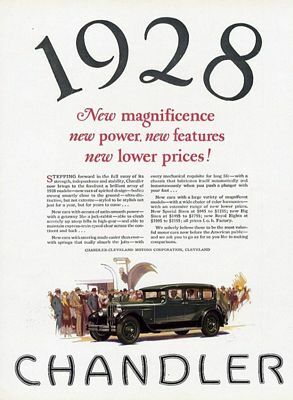 Hopes for continued growth of the market led to overexpansion by the company the following year, which finished 1928 over half a million dollars in debt. 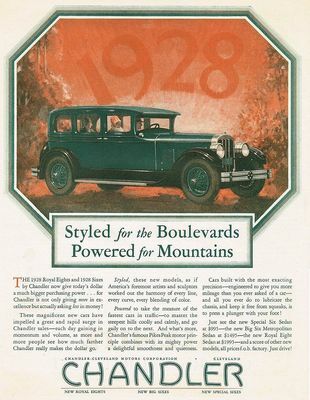 In 1929 Chandler Motor Company was purchased by its expanding competitor Hupp Motor Works for its factory and manufacturing facilities, and the brand was discontinued.